The museum consists of a 750 square-metre area under a one roof. 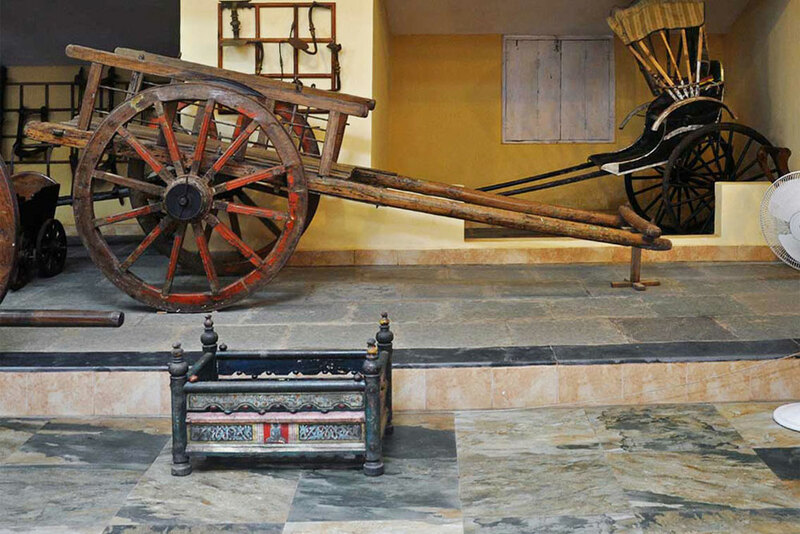 The carts, buggies, temple chariots and palanquins are on display at this museum. The museum was inaugurated by former Chief Minister of Goa Shri. Manohar Parrikar, on the occasion of Goa Chitra's 5th anniversary celebration on the 1st of November 2014. The carts were found, their origin and their locations were identified and these were then brought to the museum workshop to be reassembled for display. These carts were used to carry bales of cotton at north Uttar Pradesh. 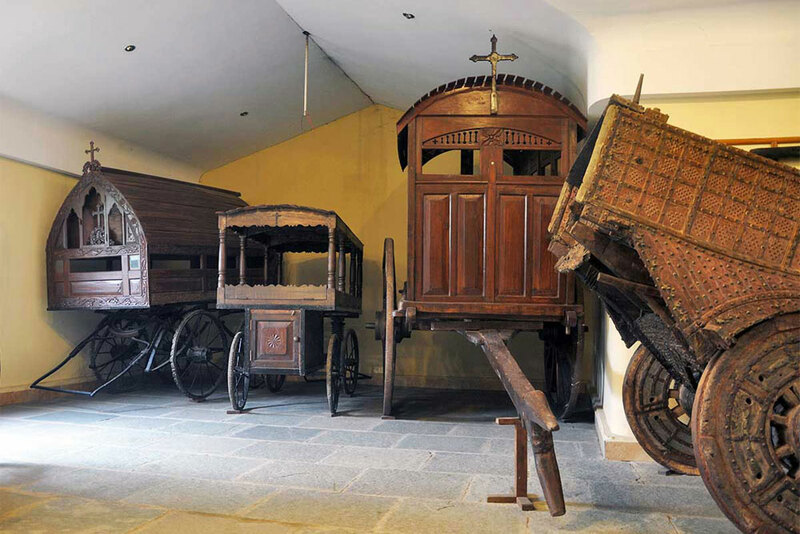 The museum has three hearses carts from Goa, hearses -a vehicle for carrying a coffin to a church or a cemetery which is formerly drawn by horses, one of the carts placed extremely right hand side has been restored. A beautifully carved Gypsy caravan on display at the museum which is also has a locker for secure storage. 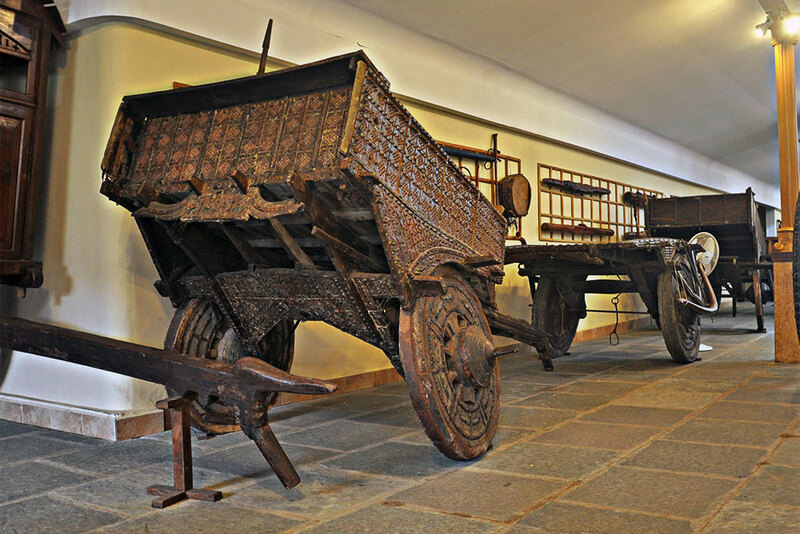 The design of the common bullock cart has often been modified to make its movement easier in undulating tract and slushy conditions of rural areas and rubber coated steel and wooden wheels with bearings also enhanced their skilfulness for carrying agrarian produce, goods and as a means of commercial transport. Indian history has a special and integral place for wheeled vehicles in terms of war, hunting and racing, also two wheeled farm carts, heavy two-wheeled freight wagons, passenger coaches and covered carriages. Victor Hugo Gomes is an optimist regarding not only to touch an emotional chord but also secure a place for loads of authentic and original material for documenters and researchers on the rich heritage of the wheel. This cart has an artistically done canopy. Most of the carts are obtained at a price but each of these has undergone extensive restoration which highlights the craftsmanship of their inventors. 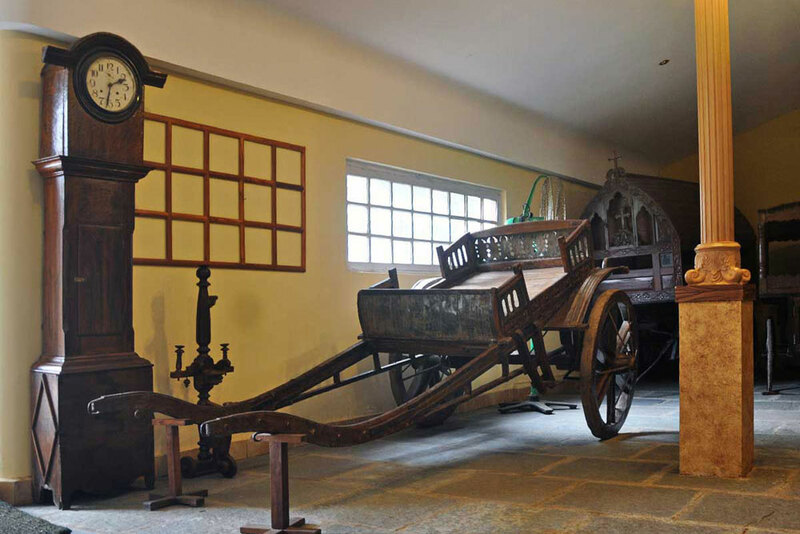 Some of these carriages and carts were obtained by curator Victor Hugo Gomes from their owners who have become helpless and had discarded them in their backyards and some carts are from the granary, storehouses, deserted and dump yards of antique merchandiser. 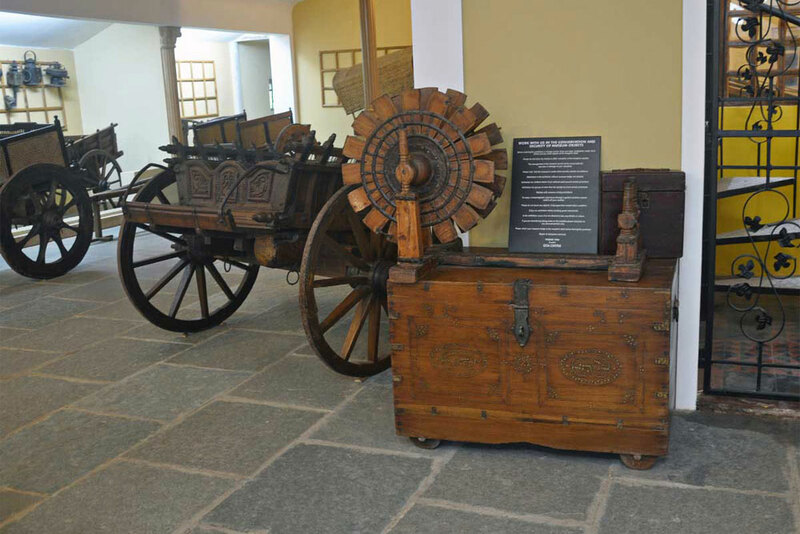 The modes of transportation in the museum are not only drawn by horses, mules and bulls but also once pulled and carried on shoulders and driven by humans and are picked personally and very carefully by an individual over two decades from across the country. Wheel is one of the most important inventions of social order and seasonal, agriculture next to the superiority of fire. 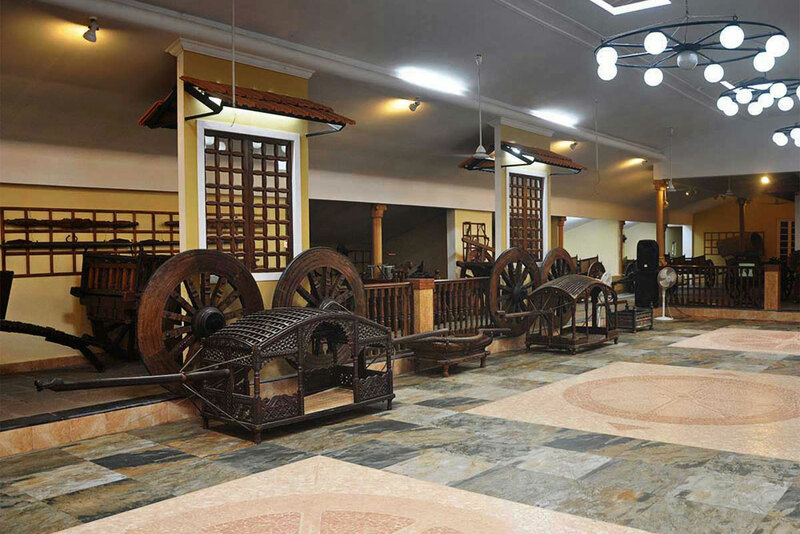 The Goa-Chakra museum is about wheels, from creating, processing and the progress of Indian society through the wheel. The wheel and based on the evolution of the wheel right from the potter's wheel to the dowry chests on wheels, spinning wheel, irrigation wheel, grinding wheel, warping wheel and transportation on wheels. 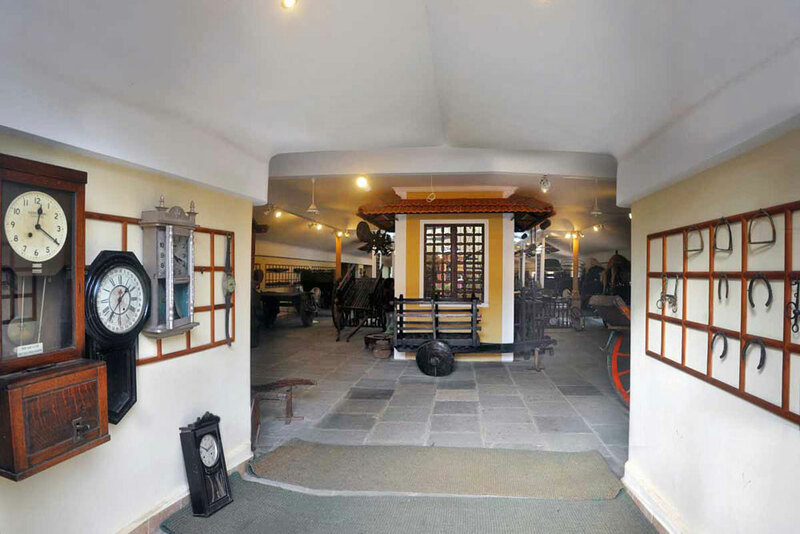 Goa Chakra Museum is a unique place for documentation, collection, research, restoration and education of the rich heritage of the wheel. 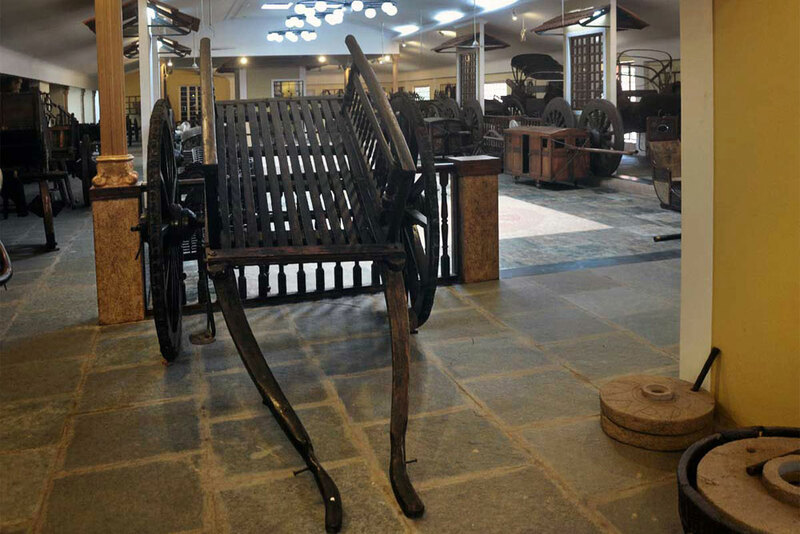 Goa-Chakra, the museum of wheels is one of the sections in Goa-Chitra museum, which has been created out of love for the great Indian culture and without any kind of external influences. 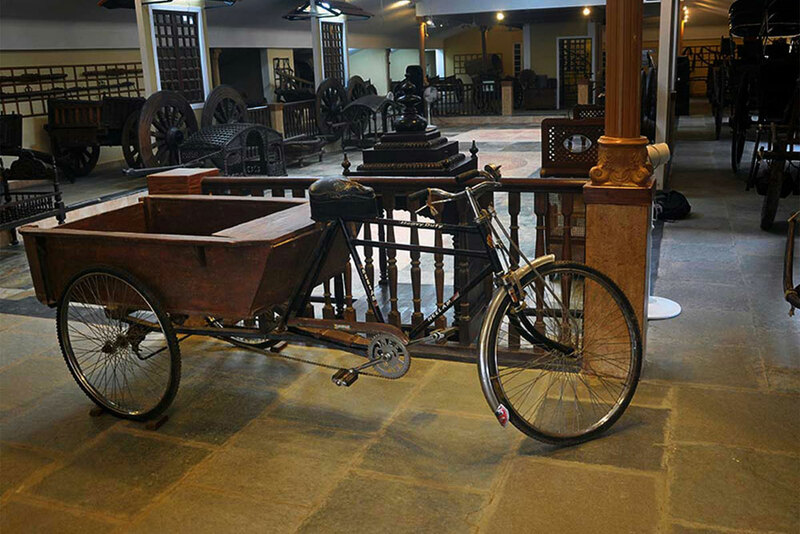 The museum of wheels is being temporarily used as an extension of the Goa Chitra museum. This museum has its own story. The documentation of each object is based on the actual information and the research regarding all possible details of it. Each and every tool, implement, article and equipment is organic. 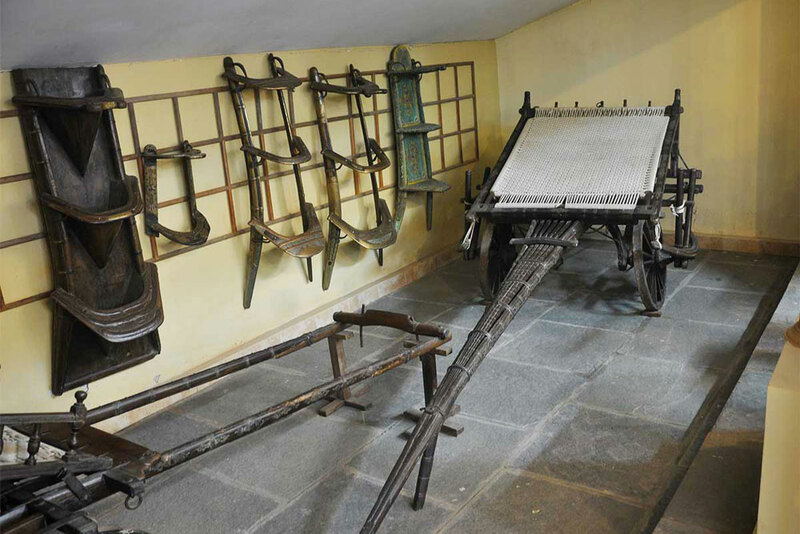 Goa-Chitra museum has a display of some 4,000 artefacts evidence of Indian lifestyle and traditional agricultural technology. This museum is not just about beauty and aesthetics but it is all about the makers and the utility of the objects. All the objects belong to India’s own tradition, culture and its people. 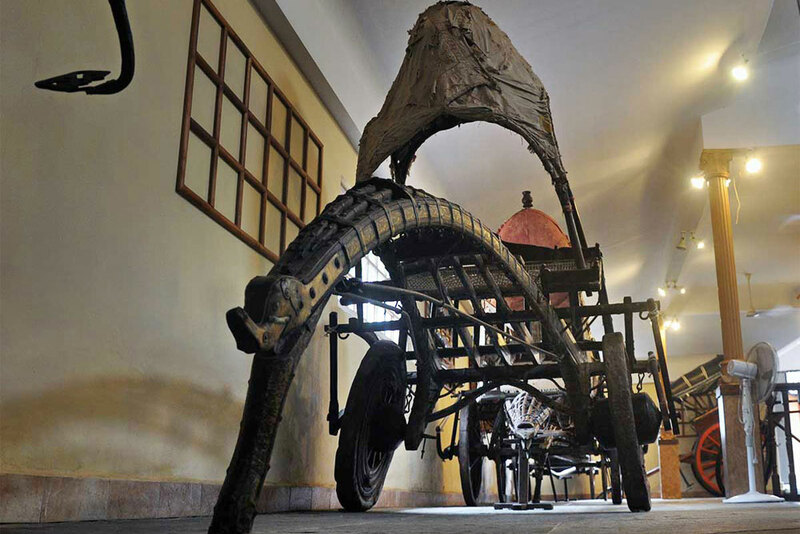 Victor Hugo Gomes is the founder and curator of this museum of transportation which houses the astonishing collection of about 70 non-mechanized indigenous carriages used in India. This museum is one of the best examples of great documentation, restoration and collection of the rich heritage of the wheel. Goa Chakra- A moving experience is the efforts of a single person Victor Higo Gomes is being initiated for display at one of the coastal villages of Goa called Benaulim which is also a typical village now developing into a town. Chakra - the wheel. It is also the central metaphor in Indian culture, like the lotus with which it shares some morphological characteristics. In the Indian literature Rig-Veda also has mentioned about the carts and chakra/wheels as a metaphor for the equality of men and women. The wheel for India symbolizes much more than just carts and carriages, it celebrates the indigenous wisdom of our ancestors, their invention and their intricacies for details and a love for beauty and art. 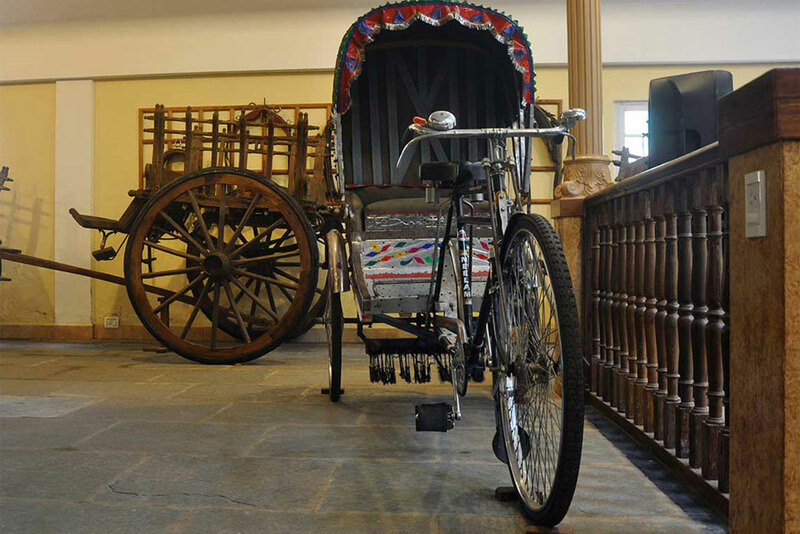 Through this collection of this traditional, functional and fully-restored transportation, one can experience and assimilate the authentic, dramatic and personal stories on Indian creative thinking and self-sufficiency tales while observing the museum. The objects and artefacts in the museum represent a progressive history of success in the modern industrial age. Still, there are more objects and wheels in transit and will soon be arriving for the display in the museum.